Grease fire start at on or in typically the ovens and move on up towards a greasy exhaust hood, or actually start in the hood or ducting itself. When major, a flame can bring about loss of your business enterprise and in some cases loss of life! 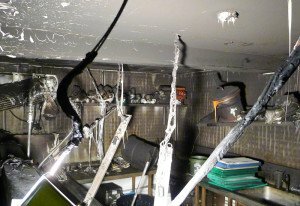 Even just a modest hood fire might cause a lot of destruction to your equipment together with smoke destruction to your whole facility. 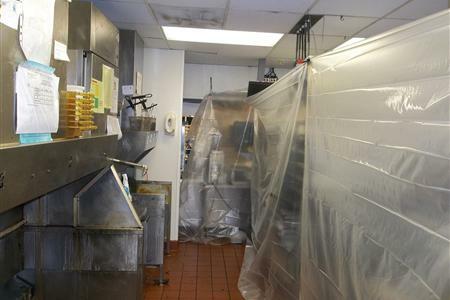 The good thing is the range and hood fire in the fast food restaurant shown to the left was in fact put out very quickly. 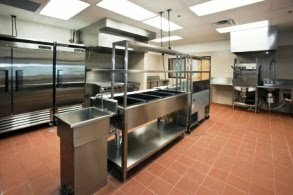 Nevertheless take note of the particular heavy fire and smoke destruction of the kitchen in addition to equipment. National Fire Protection Association regulations are specifically designed to limit the life safety concerns and fire hazards associated with commercial cooking equipment and rooftop grease containment*. 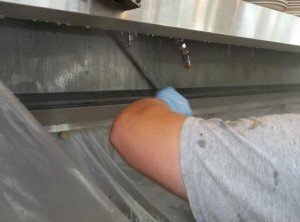 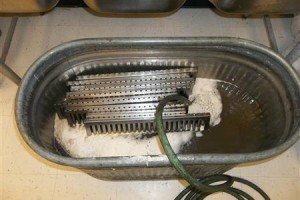 At Rockford ProWash Kitchen Hood Cleaning Services we take all the necessary steps to comply with these codes on your behalf.